South Carolina Republican Sen. Lindsey Graham disputed claims on Monday that close friend and deceased Sen. John McCain would have been unhappy with his demeanor at the confirmation hearing of Supreme Court Justice Brett Kavanaugh. Conservative radio host Hugh Hewitt asked the South Carolina senator what he would say to critics, like the “Never Trumper” Republicans on MSNBC, who assert that McCain would have been disappointed in his impassioned defense of Kavanaugh. 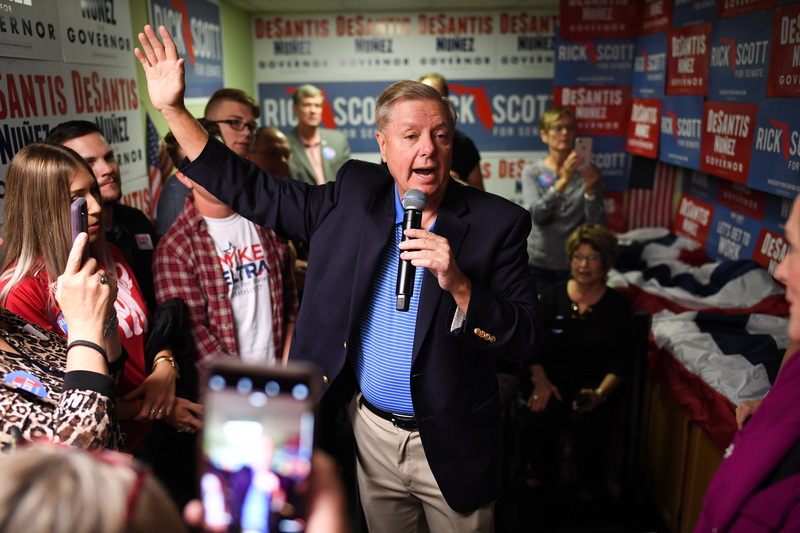 “Well, number one, if you’re on MSNBC as a Republican, you’ve lost your way,” Graham replied. Graham was referring to Ford testifying that her attorneys and the Democrats on the Senate Judiciary committee who she was in touch with never told her that Chairman Chuck Grassley offered to fly committee staff to California to speak with her regarding her allegations of sexual misconduct against Kavanaugh.